on Saturday, October 29 and Sunday, October 30, 2016 at FUMC Center! 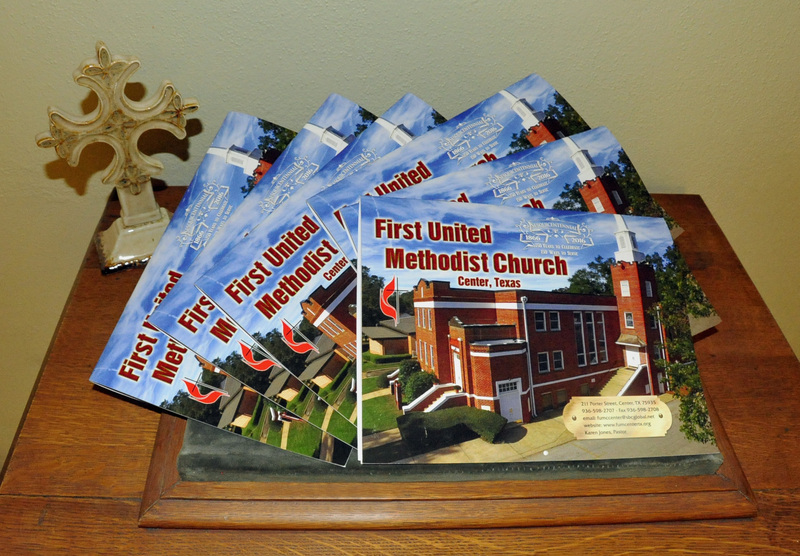 In January 2016, the First United Methodist Church (FUMC) of Center commenced a year-long celebration “150 Years to Celebrate, 150 Ways to Serve” honoring of our sesquicentennial anniversary. According to church records, FUMC was organized during the early part of the year 1866. The FUMC Anniversary Steering Committee announced a series of worship services and events to be held throughout 2016 to commemorate our church’s historic milestone on January 31, April 24, July 31 and October 29-30. 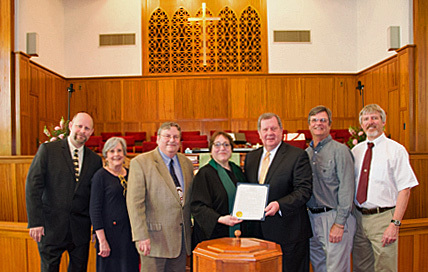 Commemorating our year-long sesquicentennial anniversary milestone of faith and worship “150 Years to Celebrate, 150 Ways to Serve,” the First United Methodist Church (FUMC) of Center held our celebration weekend Saturday, October 29 and Sunday, October 30, 2016. The celebration began Saturday morning at 10:00 a.m. with a gathering in the church sanctuary welcoming members, past members and the community. Rev. 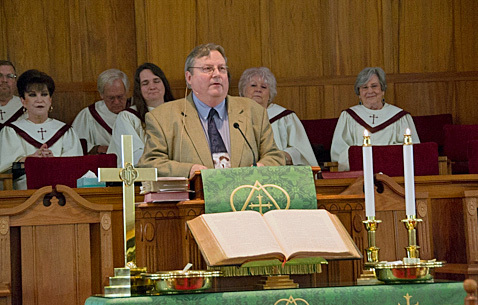 Dr. Jerry Neff was our guest pastor on Sunday, October 30 at a combined worship service beginning at 10:15 a.m.
*Please bring your wedding photos or those of your parents and/or grandparents if you were married at FUMC to share. Photo of the Congregation will be taken before worship service. Photo of past and current children will be taken on the front church steps after worship service. Rev. Carol Clifford Turner is an ordained elder with 37 years of pastoral experience. She is currently serving as Senior Pastor of First Methodist Church in Palestine, Texas. Carol graduated from Center High School, Stephen F. Austin State University, and Southern Methodist University. Since 1979, she has pastored churches in Galveston, Douglassville, Texarkana, New Boston, Maud, Nacogdoches, Longview, Lufkin, and Baytown. Carol has served on many district committees, is active in the Walk to Emmaus, and is involved in numerous community activities relating to child welfare, Habitat for Humanity, shelters for women, medical care ministry, and youth education. Carol began her Christian training in the nursery of our church, was active in Sunday School and MYF, and in November of 1974 was recommended by our church as a candidate for ministry. She was granted her License to Preach by the Nacogdoches District Committee on Ministry on August 30, 1976. Our first 5th Sunday Worship Service with Covered Dish Luncheon & Evening Singing was held with Rev. Keefe Cropper delivering the sermon for our combined worship service. Our 150th Anniversary Commemorative Christmas Ornaments are now available for purchase in the church office! To celebrate our 150th year as a church, the FUMC Anniversary Committee has designed a commemorative pewter Christmas ornament. One side features the current Sanctuary and the other side includes a brief history about the early beginning of our church. The cost per ornament is $20 and comes with a red cord and black velour pouch. Reserve your ornament today by completing the FUMC 150th Anniversary Commemorative Christmas Ornament Order Form and sending to Kelli at the church office! 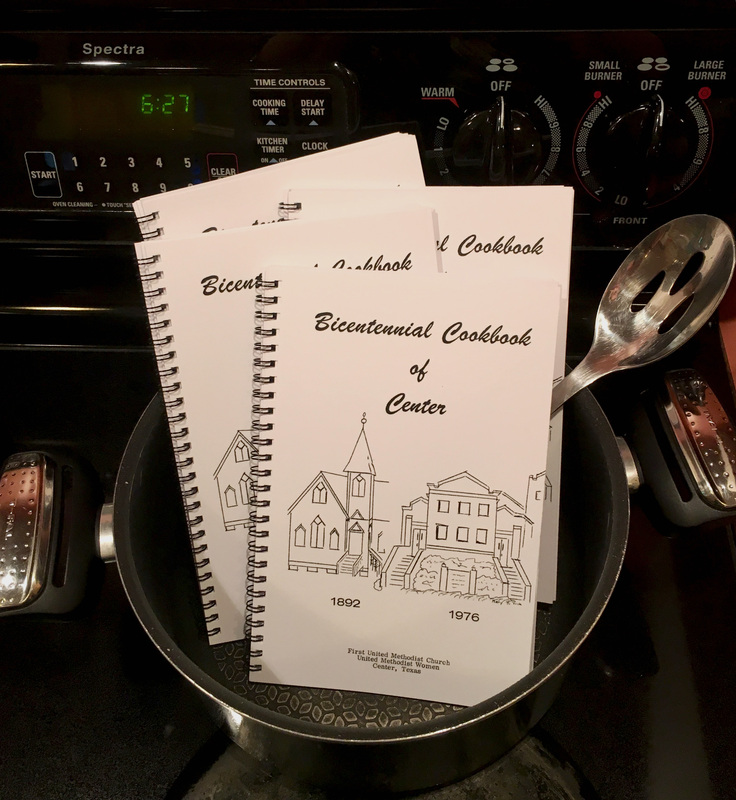 FUMC Center Bicentennial Cookbooks with all your favorite recipes are available at the church office for $5.00 each! Thanks John Griffin for organizing this project for our 150th anniversary celebration of our church! In January 2016, First United Methodist Church began our year-long celebration “150 Years to Celebrate,150 Ways to Serve” in honor of our sesquicentennial anniversary. Our anniversary commemorative calendars are currently available for purchase ~ visit Kelli or Karen at the church office!